Loneliness has been growing as a serious public health concern and it has been especially increasing among young people. The suicide rate among teens doubled from 2007 and 2015. Over the last few months, the Ithaca Voice has teamed up with WRFI, Ithaca College Park Scholars, and the Cornell Daily Sun to dive deep into the issue of loneliness and its impact on mental health here in Tompkins County. Some of the stories included in this project have covered how social media negatively and positively impacts mental health; how local colleges are handling students in crisis; what parents and schools are doing to curb bullying; and what local resources are available. As part of this collaborative project, our goal was also to empower the young journalists working with us to explore why suicide and loneliness are on the rise. Throughout the series, student and professional journalists have talked to peers and experts to break down stigmas surrounding suicide, loneliness and mental health to find better ways to combat the epidemic. 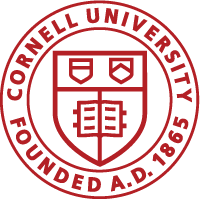 The project has been funded by Engaged Cornell and the Sophie Fund. Read the full story in the Ithaca Voice.